Hello Lovelies! If you follow me on Instagram or Twitter (both @vvnightingale) then you'll know that I've decided to shake things up a little bit with my photography. Honestly out of every part of blogging, taking photos is the part that has become a little boring for me, because I've been doing the same basic photos for a while now. So as a change I've picked up some gorgeous backgrounds (went a bit crazy and bought loads), like this parrot one to hopefully bring a bit more fun and colour to my blog so I hope you guys like it! I mean how can you not love these crazy colourful parrots? 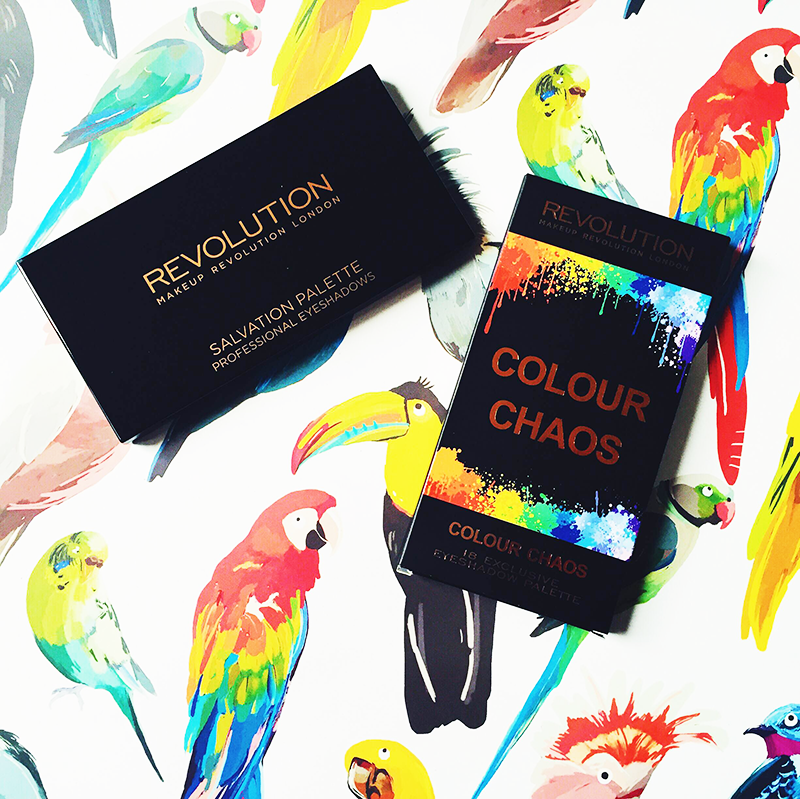 As you can see I picked up a rather jazzy looking Makeup Revolution palette - The Makeup Revolution Colour Chaos Salvation Palette (£6.00). To be honest I picked this up as a bit of a novelty purchase because honestly 90% of the time I'm wearing pink eyeshadow, so neon colours isn't exactly my usual. But I thought hey ho, doesn't every girl need a slightly crazy palette to add to their collection? Well at least that's my excuse anyway. 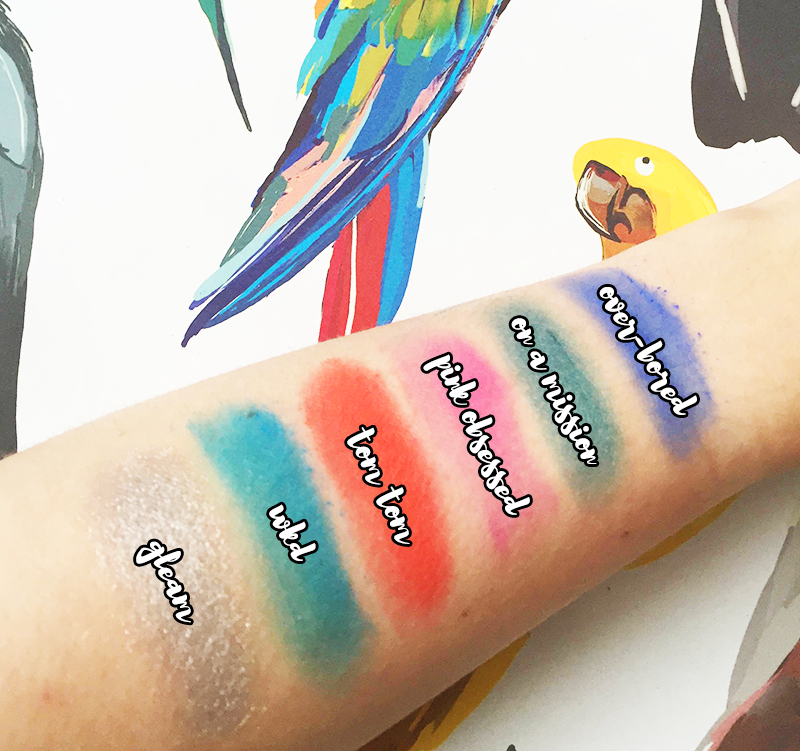 By far my favourite row in this palette is the top - I mean just look how gorgeous and vibrant all these shades are! What's great about Makeup Revolution eye shadows is that despite the price they are actually great quality. 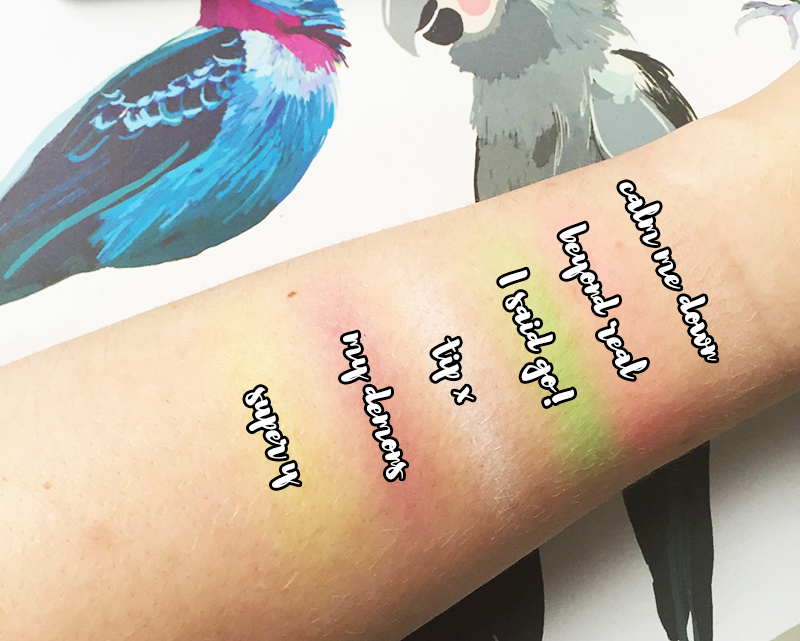 They're easy to apply and also super pigmented, so I'm definitely a big fan. My favourite shade has to be gleam because just look how beautiful and shiny it is. I honestly don't know how I'd wear this eyeshadow but I'm looking forward to the challenge. On the second row, the shades have a slightly darker tone to them which I definitely find a little less intimidating to wear. It actually surprised me when I did the swatches for this palette just how dark ammunition and deliver me are, but I like that it adds a bit of versatility to the palette (not that it needed more) so you can really have fun playing around and making new looks. To be honest the last set of shades are a bit disappointing, but I find this with a lot of matte shades. I feel like other super pale girls will be able to relate with me here, because these shades struggle to show up properly on my skin at all. That said they're good if you want to have a fun eyeshadow look that's not completely in your face or over the top. All in all I'm again very pleased with Makeup Revolution. They are such a fab budget makeup brand and at only £6 for a palette with 18 shades, it's hard to really say no. That said who knows if I'll ever get round to using these colours, but hey that's a challenge I'm willing to accept. I love Makeup Revolution, they are such great value for money. 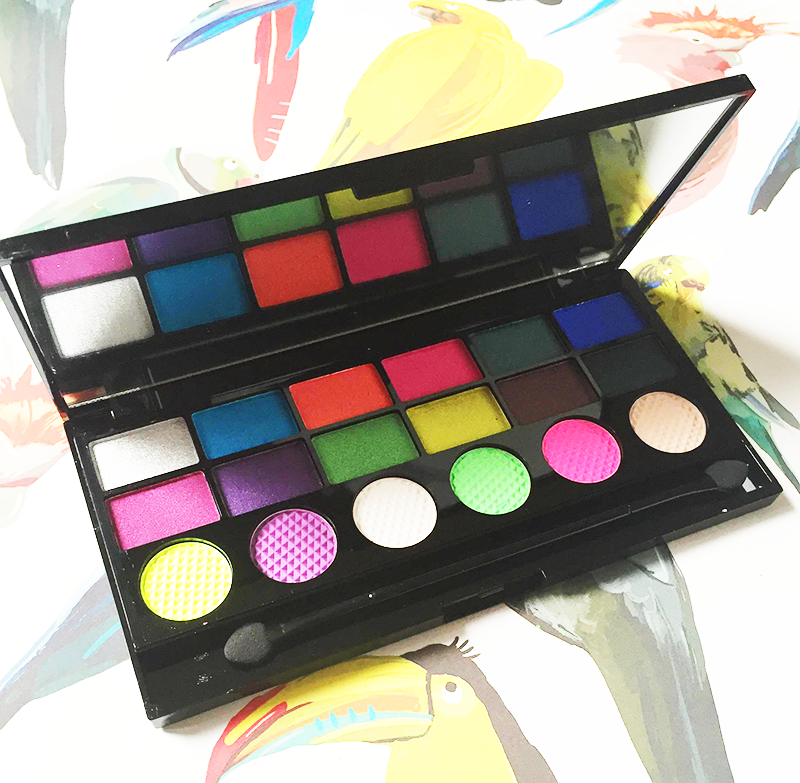 This palette is gorgeous, i don't think i'm brave enough to wear these bold colours, but i can imagine they'd create a beautiful look! Make Up Revolution is such a great brand. I have a couple of lipsticks from them and the parental advisory palette which I really recommend! I really like that shimmery silver colour you like. Wouldn't mind seeing some looks from this palette! 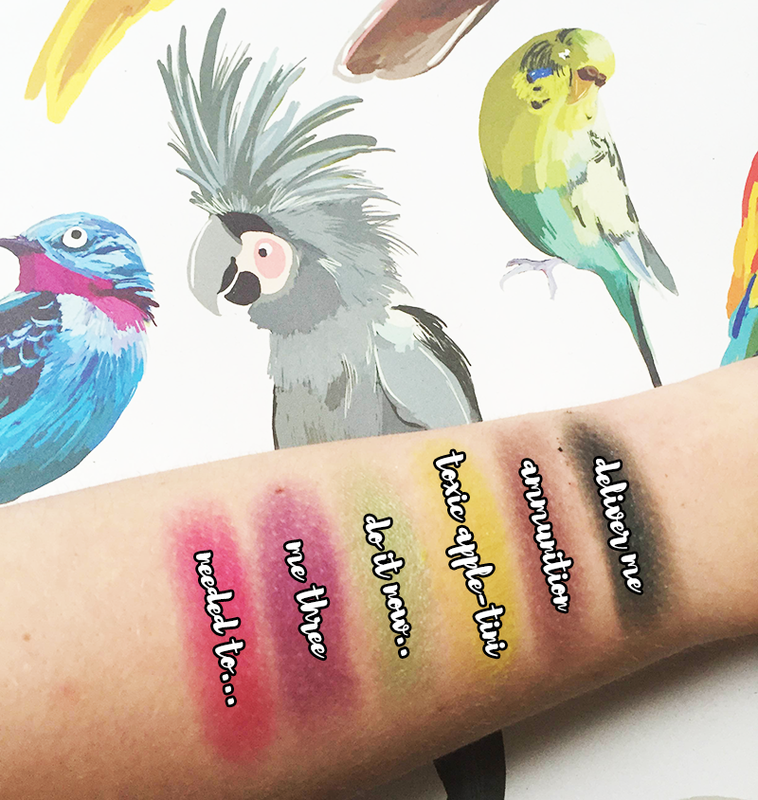 Makeup Revolution is finally launching in Canada in July and I couldn't be more excited! Now let's hope the price will remains 'budget' because makeup is pricey in Canada.